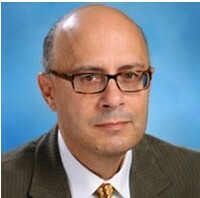 Professor Aldo Chircop, JSD, is Professor of Law based at the Marine & Environmental Law Institute, Schulich School of Law, Dalhousie University, Halifax, Nova Scotia, Canada. Previously, he was Chair in Marine Environment Protection at the International Maritime Organization’s World Maritime University in Malmö, Sweden and held directorships of the Marine Affairs Program and Marine & Environmental Law Institute at Dalhousie, and International Ocean Institute and the Mediterranean Institute in Malta. Professor Chircop’s teaching and research interests are in the fields of Canadian and international maritime law, international law of the sea, regulation of Arctic shipping, and comparative coastal and ocean law and policy. He is a member of the Nova Scotia Barristers Society, Canadian Maritime Law Association, and chairs the International Working Group on Polar Shipping of the Comité Maritime International. Professor Chircop has an extensive book and refereed publication record including the first edition of Maritime Law (Toronto: Irwin Law, 2003; co-authored with Gold and Kindred), Places of Refuge for Ships: Emerging Environmental Concerns of a Maritime Custom (Leiden: Martinus Nijhoff Publishers, 2006; edited with Linden), and The International Regulation of Shipping: Essays in Honour of Edgar Gold (Leiden: Martinus Nijhoff Publishers, 2012; co-edited with McDorman, Letalik and Rolston). He is also co-editor of the Ocean Yearbook (University of Chicago Press; Transnational Press; Martinus Nijoff Publishers).